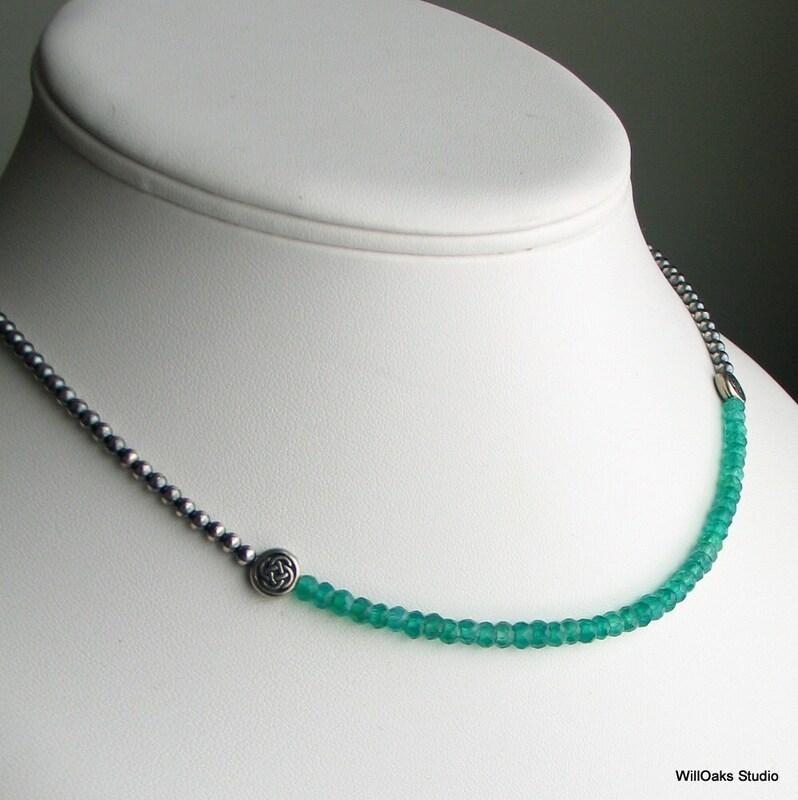 Beautiful emerald green faceted onyx gems on a sterling silver beaded chain. 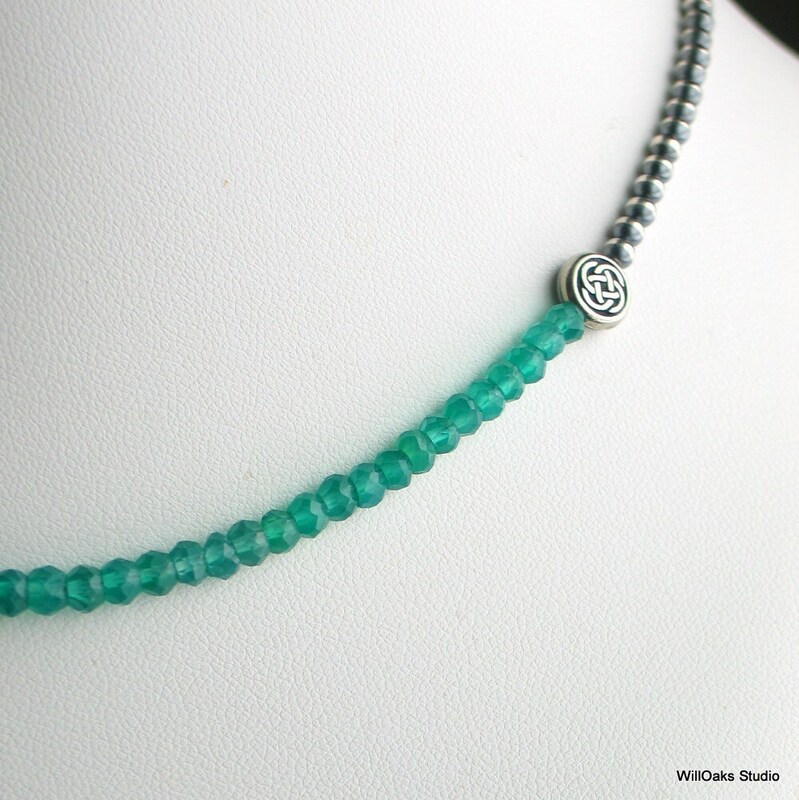 Part of the WillOaks Studio "Special Chain" series, about 5" of dainty faceted emerald green onyx are bracketed by 2 7mm silver plated beads cast with the symbol of a Celtic Knot. My original chain of oxidized sterling beads, selectively buffed to create pattern of dark and light. 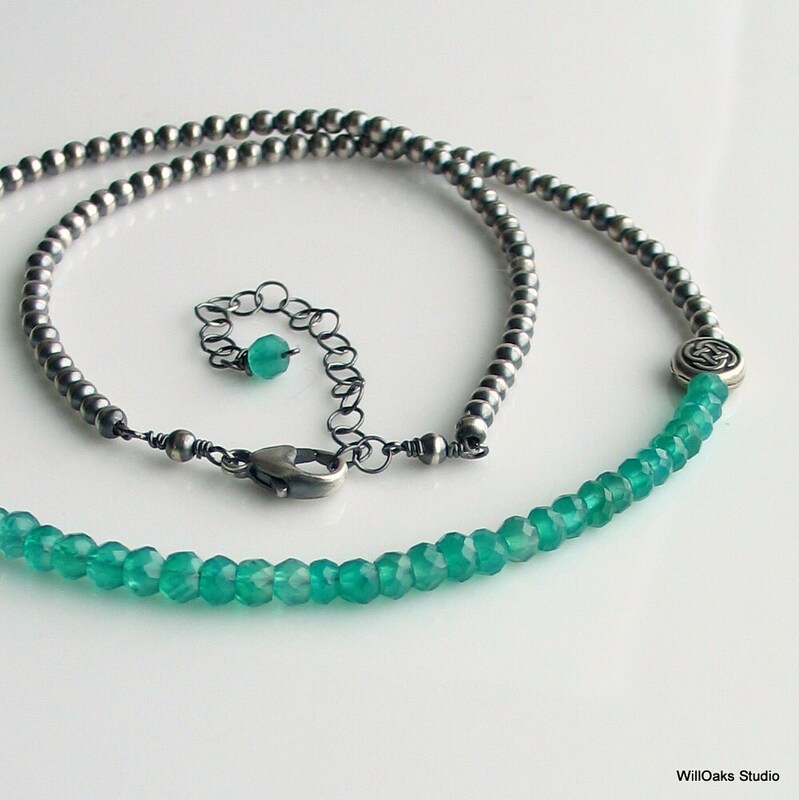 A unique sterling silver beaded "chain" which adjusts from 16 1/2" to 18 1/2" long, closing with a sterling silver clasp and extension chain. This demure, very comfortable design works well with many different necklines and the facets do create sparkle when they capture light. 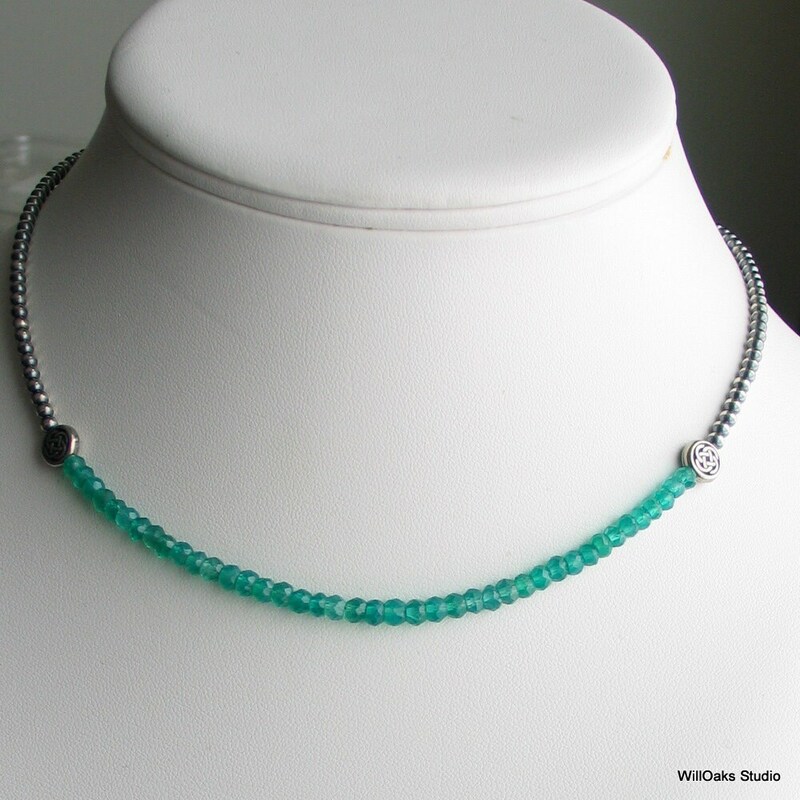 The 4 mm faceted stones are dyed deep emerald green and are translucent to create a playful contrast with light and dark pattern of the chain. 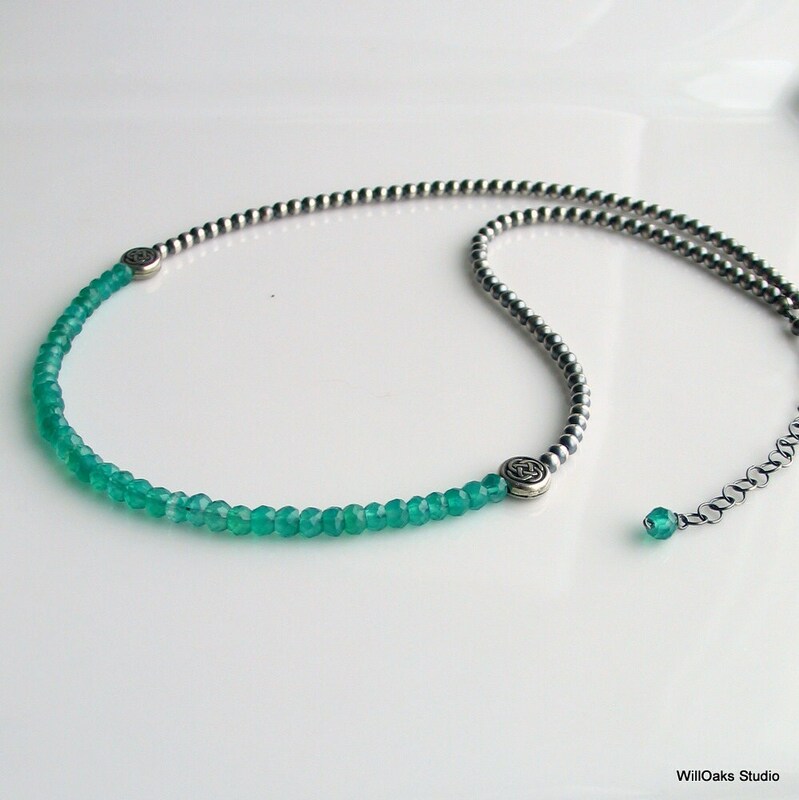 The "chain" uses 3 mm sterling silver beads. If you like green, I've got other selections in this rich emerald shade. Perfect for the Irish gals, for May Birthdays, for St. Patrick's Day, or simply growing green in nature. Try this link to see what is in stock! And there is a lot more where that came from in my studio here - http://www.etsy.com/shop/WillOaksStudio! Thanks for stopping by!